On an icy January day, the Reykjavik police are called to a block of apartments where a body has been found in the garden: a young, dark-skinned boy is frozen to the ground in a pool of blood. Erlendur and his team embark on their investigation and soon unearth tensions simmering beneath the surface of Iceland's outwardly liberal, multicultural society. Meanwhile, the boy's murder forces Erlendur to confront the tragedy in his own past. 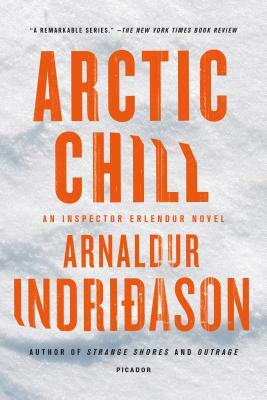 Master crime writer Arnaldur Indridason's Arctic Chill renders a vivid portrait of Iceland's brutal, little-known culture wars in a taut, fast-paced police procedural. ARNALDUR INDRIÐASON won the CWA Gold Dagger Award for Silence of the Grave and is the only author to win the Glass Key Award for Best Nordic Crime Novel two years in a row, for Jar City and Silence of the Grave. Strange Shores was nominated for the 2014 CWA Gold Dagger Award.